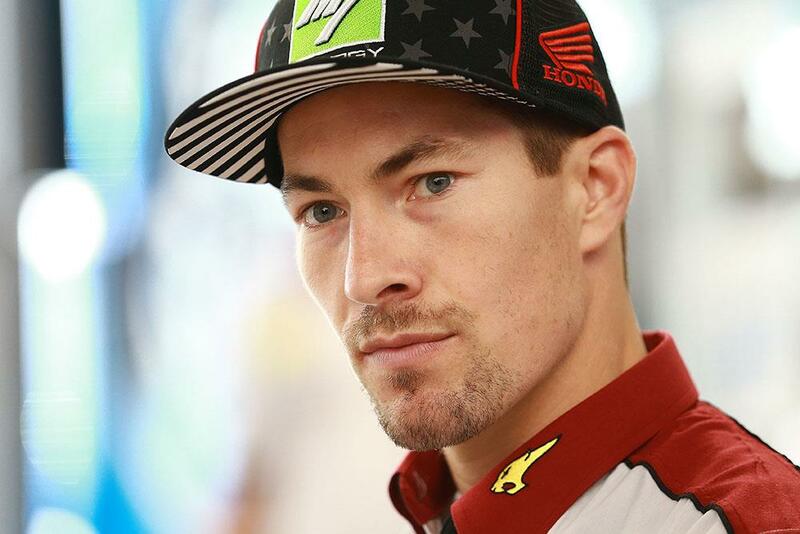 World Superbike rider and former MotoGP world champion Nicky Hayden says he’s relishing the opportunity to return to the premiere class this weekend at Aragon, as he joins the Marc VDS squad as a replacement for the injured Jack Miller. Returning for the first time since his move to WSB at the end of last year – and his first time on a full-factory specification machine since the Ducati in 2013, he’s curious to see what he can do. “I don’t like to come back replacing a guy who’s hurt, especially Jack, a buddy of mine. I’m happy to be here, to have the opportunity – but let’s be clear; it isn’t a comeback! Superbikes are my home now and my goals are there. But I had the chance to come ride a good bike with a good team and Honda was behind it. The return to MotoGP almost happened earlier this year, however, with the American on standby at Silverstone to potentially jump in and replace the injured Miller, even turning up to the British track with leathers in hand just in case – an occasion that he admits got him excited! But with missing the lion’s share of a big year of changes for the championship, the Kentucky Kid was also quick to point out that his goal from the weekend isn’t to stun the paddock with his pace. “For me it just a chance to go and have fun. I’d probably be riding motorbikes anyway and I would definitely be watching the race on TV, so I might as well show up and have some fun. I know MotoGP is not a place that’s always easy to have fun because the level is so high but I’ve got a lot to learn and it won’t be a walk in the park.